Crete embodies perfectly what makes Greece such a beautiful country. The largest of all the islands, it is comprised of four cities - Agios Nikolaos, Chania, Heraklion, and Rethymno. 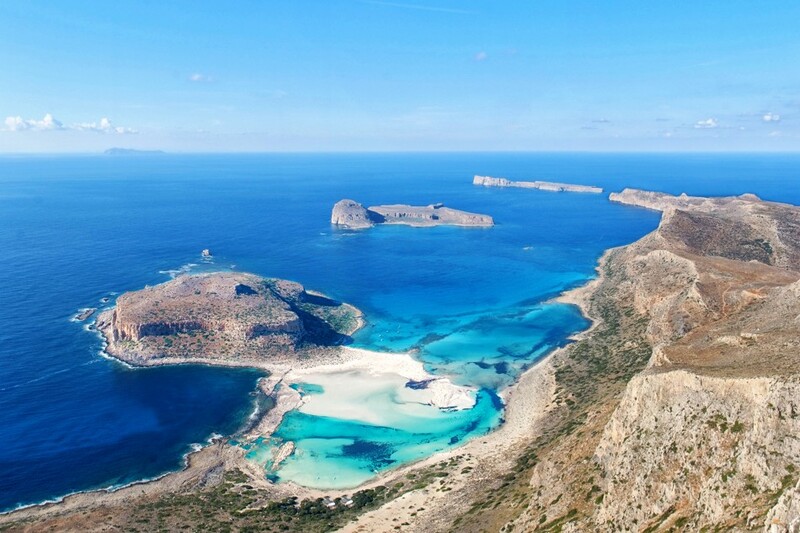 Crete bursts with amazing beaches, crystal clear waters, amazing food, and archaeological sites. Crete is not only about beaches; it breaths history and tradition. The area looks like you are walking in an old Venetian city and has retained the picturesque architecture of the past. You might actually have to blink twice to check that you’re still in the present. Crete came under the Venetian Rule after the Fourth Crusade. That was when Crete was sold to Venetians for 100 silver marks in early 13th century. After that, the island has suffered various occupations and wars, including the Ottoman rule and the World War II. As a result of its turbulent past, Crete is an alive monument itself. Chania is a kaleidoscope of different elements: ancient ruins, strong local culture and traditions. The old town is a charming amalgam of Venetian, Ottoman and Greek architecture. Step back in time as you wander the old town alleys and its surrounding neighbourhoods. If wine is your thing, you’ll be glad to know there’s plenty of it in Chania! Rethymno is one of the most well-preserved Venetian old towns on the island of Crete. Its 16th century buildings are stunning examples of ancient architecture. Taste your way through the old city of Rethymno and find out why Crete is a foodies’ paradise! Explore the magical waterfalls, rock formations, and ‘'cave church' of Saint Anthony Gorge before taking a stroll along the colourful Venetian Harbour. Crete’s illustrious history, unique culture, and the diverse landscape render it a favourite destination with thousands of visitors each year. You must see this beauty of nature for yourself! This was my 7th tour with Rostad and all have surpassed my expectations.